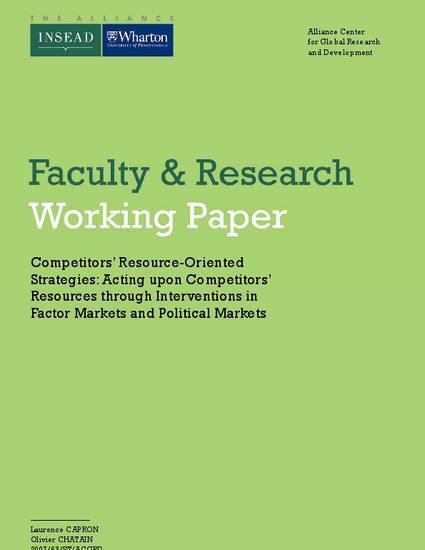 In this paper, we argue that we can reach a better understanding of the relationships between firm resources and competitive advantage by considering actions that firms take against their rivals’ resources in factor markets and political markets. We outline market and firm characteristics that facilitate the deployment of competitors’ resource-oriented strategies. We then argue that the effectiveness of the firm’s actions on its competitors resources depends on the competitive responses of the competitors being attacked.